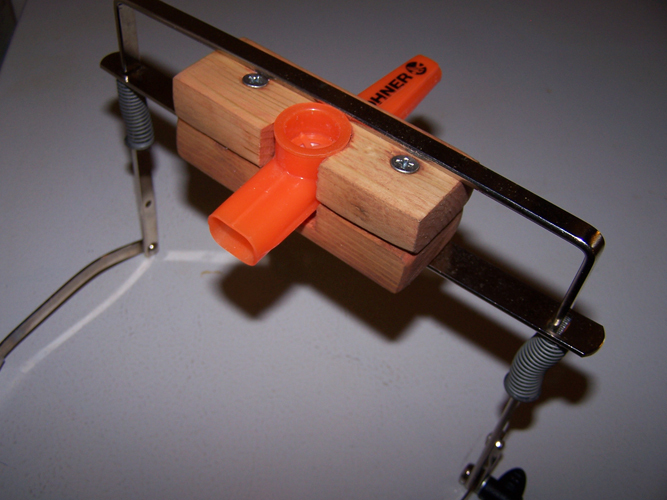 A kazoo wooden holder that fits into a harmonica holder. It gives it nice flat sides that can be held securely by the metal bars. Design by E.L. "Bones" Bach - "Member of the Association of American Kazoologists"